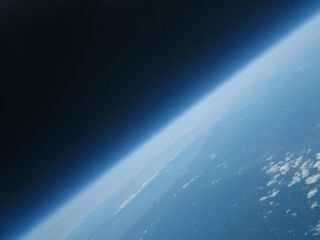 A new report being put in front of the government this week proposes that Britain launch a constellation of new satellites to monitor greenhouse gas emissions from countries and world cities across the globe. The new satellites will be a major new initiative as part of Britain's wider space mission if given the green-light by ministers. The proposal is being put forward by the Space Innovation and Growth Team and is part of a long-term 20-year strategy to make Britain's space industry into a £40 billion-a-year business by 2030. In addition to monitoring greenhouse gas emissions the new satellites could be used to monitor war zones, deforestation and more. The team wants the British government to increase its annual spending on space projects to £550m a year by 2020, in order to lift the UK into the top ten space-funding nations. Currently the UK ranks 21st globally in government support for space missions. "The ball is just starting to roll on Earth observation and other space-based technologies and we need to be at the front of this to capture the market," said Terry Coxall, from European space company Astrium. "We need government and companies to think about what they will want from space not now, but in five to 10 years' time." Professor Mark Sims at Leicester University's Space Research Centre added: "If the UK doesn't exploit the space market someone else will and we will be left behind. We are in a good position because of our historical investment in space, but we are at a tipping point. We cannot live on our past glories."